After the perfect, almost sublime, finale to Winx’s remarkable career the focus now switches to what lies ahead for the great mare and her siblings. Saturday’s win in the G1 Queen Elizabeth Stakes put the inevitable seal of greatness on her remarkable career and added to an incredible list of achievements, being her 33rd consecutive victory, her 25th in a Group One race and her 37th overall, a number that equals the career wins by the legendary Phar Lap. Collecting the $2.6 million first prize carried Winx past US champion Arrogate as the world’s highest prizemoney earner of all time and fittingly provided her trainer Chris Waller with his 100th G1 victory. 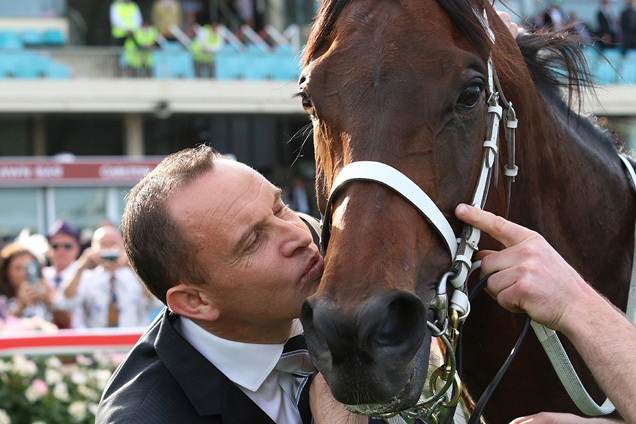 Winx will now prepare for the next phase of her career as a broodmare, with conjecture running high over the stallion her owners will select as her first mating this spring. Nothing has been decided although it is certain much discussion has already taken place among the ownership group with Waller’s opinion certain to be heeded. Waller would not be drawn on which sires he may have the top of his personal list to cover Winx but admitted he will have an input into the decision. “The owners will make the decision regarding her stallion choice but I’m sure to have some input regarding if it’s a southern or northern hemisphere stallion,” Waller said in the Queen Elizabeth aftermath. Waller said there is no rush to make that decision and in the short term will focus on letting his favourite mare let down gently from her training regime. “She will stay in the stable a few more weeks before heading to stud to begin the next stage of her career,” he said. Waller may also look forward to training siblings to Winx as well as her own progeny in future seasons as some small compensation for the void she will leave in his stable although it won’t be her immediate half-sister from the Al Akbar mare Vegas Showgirl. Winx as a yearling at the 2013 Gold Coast Yearling Sale. Have a look at the sweet filly. Turned into the greatest prizemoney earner the worlds ever seen. Also a world record number of G1 wins. Winx’s breeder John Camilleri has retained a Snitzel 2YO filly from Vegas Showgirl named Courchevel and she is with Victorian trainers Ciaron Maher and David Eustace. The filly is a sister to Vegas Showgirl’s earlier products, the ill-fated G3 winner El Divino and the unraced Boulder City, a $2.3 million yearling who now stands at stud in Victoria. Camilleri is now obviously intent on keeping the female side of the coveted family after he sold WInx as a yearling for $230,000 at the Magic Millions Gold Coast Sale in 2013 for $230,000. Offered through the Coolmore Stud draft she caught the eye of Waller’s bloodstock advisor/agent Guy Mulcaster and Peter Tighe's Magic Bloodstock – and the rest is history. Camilleri also has a yearling filly by Exceed And Excel from Vegas Showgirl named Covent Garden and this spring will be looking forward to the birth of her next foal by Japan’s super sire Deep Impact. Vegas Showgirl missed to Exceed And Excel in 2017 which allowed Camilleri to send the mare to Japan and be covered by Deep Impact to southern hemisphere time in 2018. Vegas Showgirl, acquired by Camilleri’s Fairway Thoroughbreds at the 2009 Gold Coast National Sale for $455,000, has since returned to Australia in foal and is based at Segenhoe Stud in the NSW Hunter Valley. Winx herself is by the late Street Cry and ends her career with 37 wins and three placings from 43 starts for prize-money of $$26,451,175. Vegas Showgirl (Al Akbar x Vegas Magic by Voodoo Rhythm) won seven races and is a half-sister to the G3-placed Black Magic Maggie (Westminster) from the family of G1 winner El Khobar (Gabador).